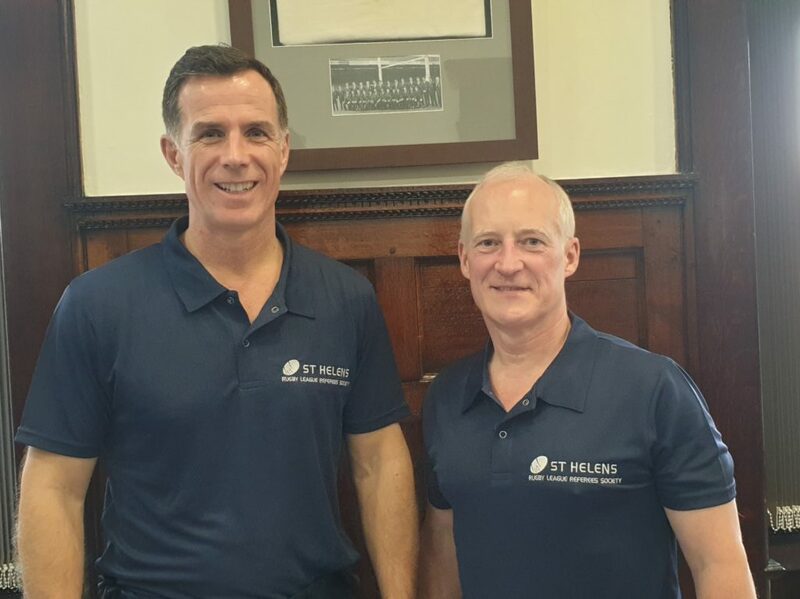 Former International Rugby League star and Sky Sports pundit, Phil Clarke, has joined St Helens RLRS as an honorary member in his bid to understand and support Rugby League Match Officials. Our newest member Phil Clarke (left) poses with Society colleague Innes Arnold (right). Phil was pleased, this month, to be offered honorary membership by St Helens RLRS which he accepted with open arms, excited to get involved with the society to help boost our objectives to recruit, develop, mentor, and retain referees for the benefit of all levels of rugby league. The former GB captain and team manager accepted an invitation to speak at a society meeting back in November and experienced something unexpected. “I went along to share a few funny stories and anecdotes about my career involved in many aspects of rugby league, but I came away having learned much more. 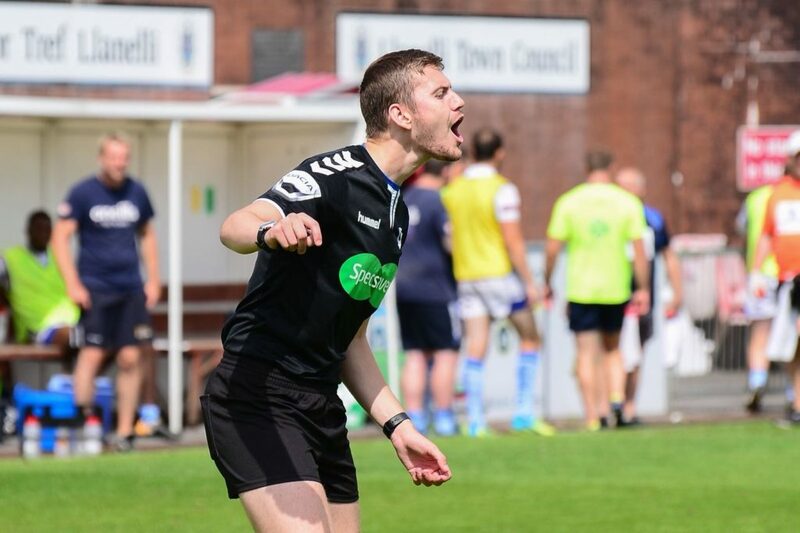 In a whole lifetime in the sport, I was amazed that I had not engaged with many match officials or noticed just how passionate about the game and hardworking they are. Phil posing with members for a team photo taken when he gave a talk at the November General Meeting in 2018. Congratulations to all members on their appointments! Innes Arnold stars on live radio! 11th March saw Innes Arnold be invited to star on ‘WA12 Rugby League Show’. Innes went along and spoke about his initial meeting with Phil Clarke, which leads to him to inviting Phil to join St Helens RLRS. The conversation then led to shortage of match officials across the country and how the appointments are made each week. It was an eye-opener for the chat show hosts on how we, as match officials operate week in, week out. Innes’ interview commences in the second segment of the show (1hr in). Thank you to ‘WA12 Rugby League’ for their invitation onto the show and their ongoing support on social media! Zoe Brown referees her first game! Clockface played Pilks Recs under 9s. I felt nervous at the start but then started to enjoy the game! I was amazed by the support from the coaches and Chris Hardman who came. The kids were a credit to their clubs and played great! 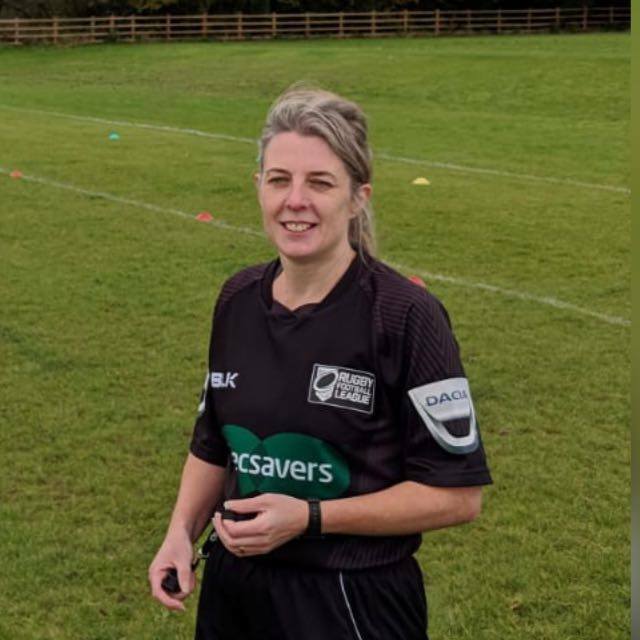 Zoe Brown poses for a picture ahead of her first game as a Referee. Society’s secretary/treasurer Chris Hardman also went down to watch Zoe, this is a tradition the society has held with every new official. 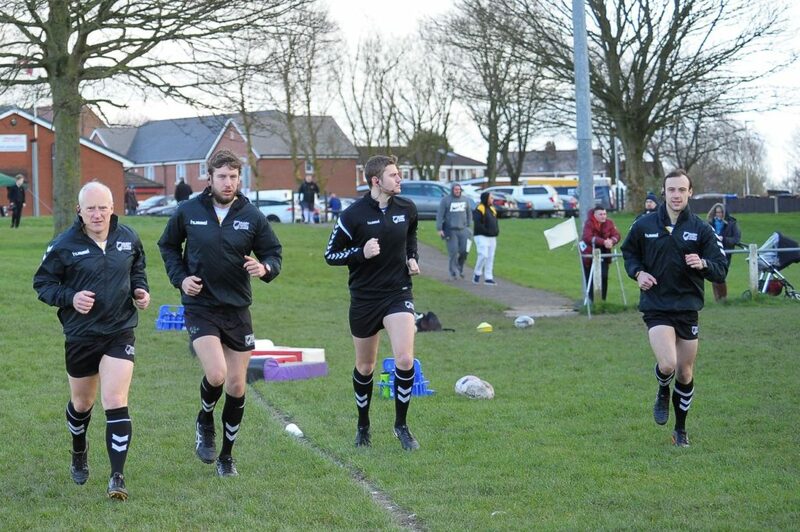 Craig Smith Refereeing at West Wales Raiders in League One. What would you say to a young aspiring MO? 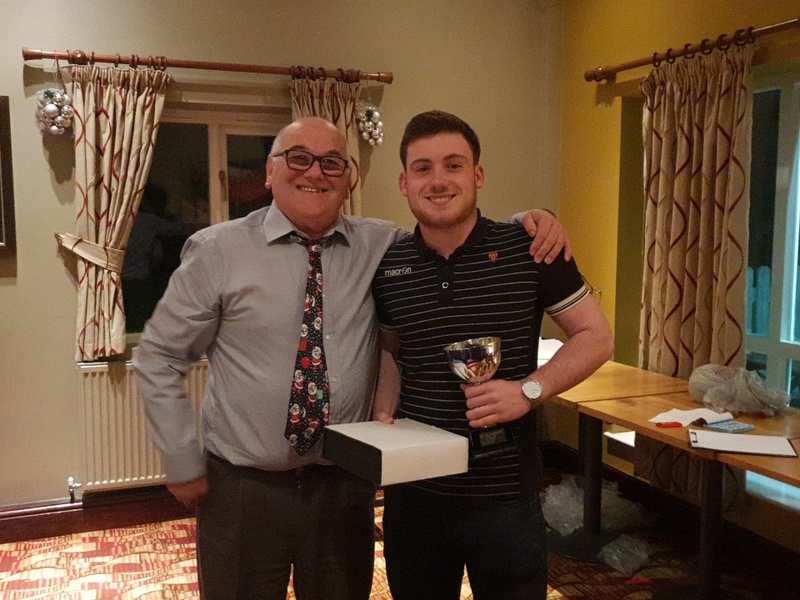 Brian Cummings (left) presenting Tolver Arnold (right) with the Society Young Match Official of the year award in December 2018.
Who is the Smartest member of our Society? Who has the best whistle in the Society? Who is the biggest moaner in the Society? Who is the loudest member of the Society? Who is the quietest member of the Society? Who has the best taste of music in the Society? Who has the worst taste of music in the Society? Which member of the Society is the best on a night out? On Tuesday 19th March, members gathered at Blackbrook Rugby Club for this months meeting. This month focused on altercations on a rugby pitch. Clips were shown of numerous scenarios and members had to dissect the good points and development points from each. Following this, we moved on to what positions would be best in each scenario both as a Referee and a Touch Judge. Thanks to Brian Cummings for running the meeting, also thanks for Shaun Pickering for organising the clips. Please send all future stories to Ryan Cox so these can be added to newsletters. Please send all notable appointments to Denton Arnold so these can be added to the honours list.